Minor update 156020 has been released! 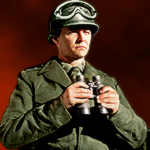 - Restored the Patrol ability for Scouts (disabled in minor update 156017). Reason: this "Scout Glitch" fix is not needed, because players are being punished for using it anyway (minor update 156018). - New UP1.5 game configuration files: "myconfig_sim.cfg" (for EE2), "myconfig_sim_EE2X.cfg" (for EE2: AOS). Please do not modify them, because they're always overwritten by Minor Updates. * Added fixes to reduce ping (delay) between the host and players by ~30 up to 60 milliseconds. * Added a message when any player joins/leaves the Multiplayer lobby. * Reduced updating/refreshing time of many lobby modules (for example Lederboards), because it doesn't affect the high-performance EE2.eu Server. * Reduced RAM usage after the Launcher / Maximization Helper window is closed. * Increased limits before the "Show information about unused EE2 files in the Documents folder" warnings are shown (from 200 to 400 for playbacks and 800 for game saves). - Speeded game startup time by minimum 3 seconds (limited displaying of the Spalsh screen when not needed). - Increased messages history limits of in-game Chat and Multiplayer Lobby Chat. Wounderful Work, specifically the Keep Alive function. I will test it. Minor update 156021 has been released! - Disabled game icon flashing when any player joins/leaves the Multiplayer Lobby, when the game process is minimized. It was annoying for most of players who only want to be informed about important events. - Added caching for the icon flashing functions (added in update 156000). It should insignificantly speed up those function calls. - Improved text pasting to the Support Chat input field. It's now possible to paste multi-line text, and new line characters will be replaced with " " automatically. - Reverted Minor Update 156020 changes for "increased messages history limits of in-game Chat and Multiplayer Lobby Chat", because we detected game freezing / crashes after pressing the "H" hotkey. - More improvements for updating/refreshing time of Multiplayer Lobby modules. Minor update 156022 has been released! * The option is disabled by default, but can be enabled by UP1.5 Settings. It's recommended to enable this option. * It uses special algorithms created by Dr. Mona Lisa to adjusts font sizes in game to be suitable to the currently used screen resolution. * It fixes too small font size problem on 4K resolutions, and too big font size on lower resolutions. Visit: https://www.ee2.eu/blog/013-auto-font.php for before/after screenshots. * WARNING: After enabling this option, the first game launch might take a very long time (depending on CPU speed)! Please be patient and don't kill the game process! * This feature is in the BETA stage. For some screen resolutions game process might crash with Unhandled Exception. When it happens, please disable "Automatic Font Size" option. * "DrGrip - Troy.scn", "e24ever - Hellhole1.scn", "e24ever - Roman Republic - Gallic Wars.scn", "e24ever - TheVikingsAge1 - King of the Vikings.scn", "e24ever - TheVikingsAge2 - Sword of the King.scn", "e24ever - TheVikingsAge3 - Need for land.scn", "e24ever - TheVikingsAge4 - Vinland Qest.scn", "e24ever - Zombie Land-Chapter one.scn", "DrGrip - A Conqueror is born.scn", "DrGrip - Battle For Middle-Earth.scn", "DrGrip - Chinese America1.scn", "DrGrip - Chinese America2.scn", "DrGrip - Chinese America3.scn", "DrGrip - Chinese America4.scn", "DrGrip - Chinese America5.scn", "DrGrip - Christmas Strike.scn". * To play new scenarios - start Empire Earth II (not the expansion pack), go to "Single Player" -> "Play Scenario". - Updated the style and texts of message boxes before joining the Multiplayer Lobby (Updates / Detected Problems / Bans). - Recompiled all significant UP1.5 modules using the updated compiler version and libraries. It might improve security and code execution speed after installing the newest Operating System updates which fix Meltdown/Spectre CPU vulnerabilities. - Minor bug fixes and improvements of UP1.5 Launcher. Minor update 156023 has been released! * "Enable Large Address Aware (allows EE2 to use more than 2GB of RAM)" is no longer BETA and is now enabled by default. * "Enable DirectX 9 (DX8 to DX9 Converter)" is no longer BETA and is now enabled by default. * Those features have been rated as "stable", because we have never detected or received any reports about problems with game after enabling them. Many players, however preferred to not change the default settings and were losing performance improvements. * If you get the missing .dll file error on Windows Vista and older, please re-enable "DirectX 9" by UP1.5 Settings and install the required "End-User Runtime". * "Enable Automatic Font Size" is still BETA, but stable enough to be enabled by default. It will also help test this feature on larger group of players. * The "UnofficialVersionConfig.txt" file update is forced by this Minor Update. Please check your settings after installation. - Fixed a bug where mouse cursor escapes game screen when multiple monitors are connected to the computer. This bug was present since Minor Update 156019 with "Exclusive", Borderless Windowed Mode support. - Changed the default hotkey to toggle the in-game Music Player from "alt+SPACE" to "alt+shift+SPACE". Reason: many players were missclicking it and playing EE2Amp music accidentally. - Integrated Dr Grip's "Chinese America" campaign with the "Single Player" -> "Play Campaign" menu. It now uses the timeline created by Loewenherz. - Integrated Dr.MonaLisa's "EE2 Pirates" and "EE2 Planes" Scenarios with the "Play Campaign" menu. - The Launcher window is now taller on higher screen resolutions. It allows to display more messages in the News/Chat windows. - It's now possible to resize the Launcher / Maximization Helper windows vertically. - Maximization Helper Solutions buttons are now more visible when the "Dark Launcher Theme" is active. When Maximization Problem is detected - Solution 1 button is highlighted with a red frame. - Changed the time after which players are disconnected from the Multiplayer game (from 60 seconds to 120 seconds). It will help to resume connection after player's IP change (if clients are connected by MonaNAT). We understand that the longer timeout might be annoying for the regularly-playing Multiplayer users, so we recommend to not invite known laggers to your games. - Repaired games list refreshing on the Multiplayer Lobby. New hosted games will appear on the list automatically, without the need to click on the Refresh button. - Removed the city ambient sounds (added in the first version of UP1.5), played by city centers (horses, car horns, etc.). They confused players and the overall effect wasn't that good. Minor update 156024 has been released! - Increased the maximum possible population per player from 999 to 9999. - Increased the maximum possible amount of stored resources and technology points from 99 999 to 999 999. - Changed the default user flare sound effect (it was confused with building selection / production cancellation sound). - Changed the default "Start/Execute Coordinated Attack" hotkey from "APOSTROPHE" to "ctrl+APOSTROPHE" on EE2. It was already ctrl+APOSTROPHE on the expansion pack. People often misclicked it and didn't know why units don't move. - Fixed a bug where "Presidential HMMWV" could not be transported by ships/transport aircraft units. - Increased the price of Tradecopters to be suitable to their effectivity and to prevent abuses in Multiplayer games. - Added buy/sell resources hotkeys to Supermarkets (the same as for Markets). - Fixed incorrectly displayed hotkey categories in Settings -> Hotkeys menu. It mistakenly displayed Barracks as the parent unit/building. - Fixed incorrect mouse pointer icons in the child windows of UP1.5 Launcher (after update 156023). Minor update 156025 has been released! - Secured KeepAlive connections with HTTPs (in the Launcher), but only if HTTP and HTTPS IPs are the same. In rare cases users have different IPs for HTTP and HTTPS connections. We use IPs to identify user's Minor Version on the Multiplayer Lobby. - Fixed a bug where UP1.5 Launcher was resetting the screen resolution settings on game restart, when user changed it to 800x600. Minor update 156026 has been released! - Integrated e24ever's "The Viking Age" campaign with the "Single Player" -> "Play Campaign" menu. It now uses the timeline created by Loewenherz. - Integrated 5 other scenarios with the "Single Player" -> "Play Campaign" menu: "Dr Grip - A Conqueror is born", "Dr Grip - Christmas Strike - American", "Dr Grip - Troy", "Dr Grip - Battle For Middle-Earth", "e24ever - Roman Republic - Gallic Wars". Thanks for help to Loewenherz for creating all required files.